Professional full-service construction and remodeling company. We are a professional, full-service contractor. We can complete any residential home improvement project, large or small. Whether we’re repairing storm damage or adding a new garage on your home, our primary goal is to make certain you are satisfied. Shingles, rafters, gutters and skylights get a repair after considerable storm damage. Alpharetta, GA. – A large tree had fallen on the clients house and caused considerable damage to the roof, gutters and skylights. 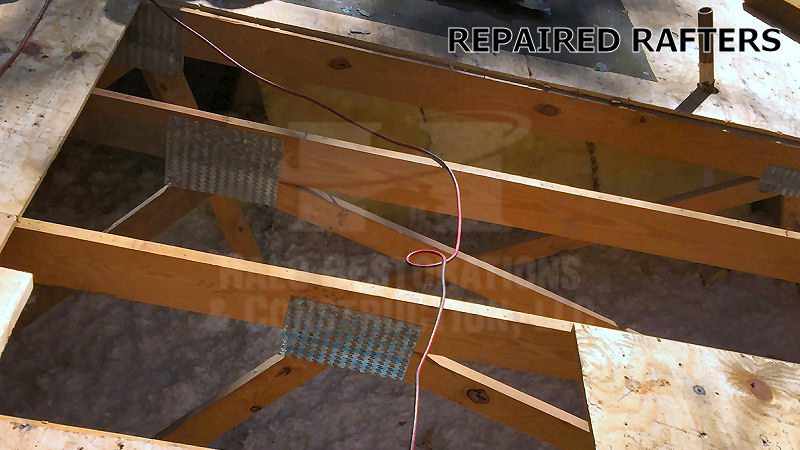 Halo Restorations and Construction repaired the broken rafters and laid new plywood over the roof. Shingles and roofing materials were replaced, and new gutters installed. The damaged skylights were either replaced or repaired. Hardwood floor installation gets a signature look. 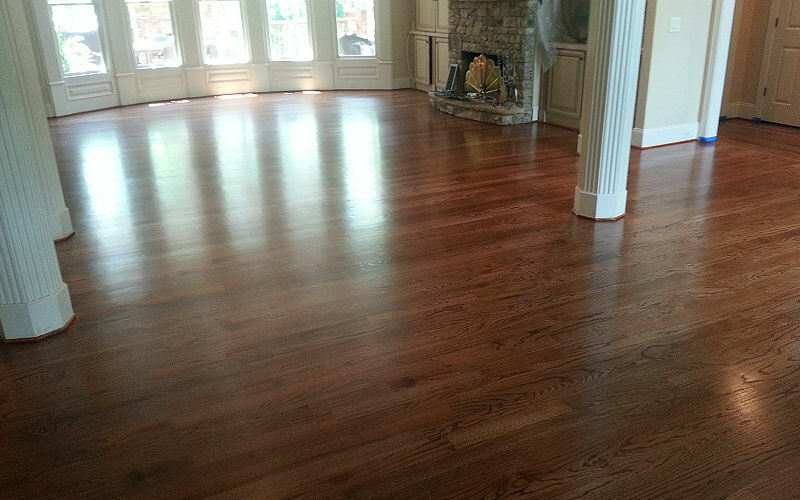 Alpharetta, GA. – This project was a full first floor residential home hardwood floor restoration project where areas of the wood had become warped and stained due to water damage. The homeowner wanted the entire floor to be refinished in order to perfectly match the new wood which would need to be installed to repair the water damage. Halo Renovation & Construction discussed color finish and final look preferences with the homeowner and determined what they wanted their newly refinished floor to look like. An overgrown backyard gets a fresh new landscape. Woodstock, GA. – Backyard cleanup and outdoor living space. The homeowners wanted a living and entertaining space created in their overgrown backyard. Halo Renovation and Construction cleared out the overgrown areas and landscaped steep banks. Sod was laid on the flat areas of the yard. Stairs were built down the bank, and fire pit and seats built to create a gathering area so there would be space for children to play and for entertaining guests outdoors.